Welcome to an exciting year. Please take note of the events and dates listed below. Prior to each event, you will receive more detailed information and registration procedures via email or the Alamo Association of Student Councils website. Start time 9:30 am Advisors Meeting 10:30 a.m.
Feel free to contact any member of the AASC Executive Board with questions. 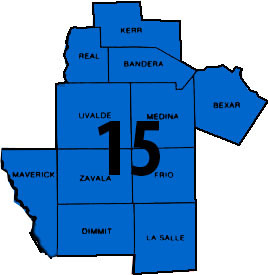 Information can also be found on the District 15 Website.